So who stole July? One minute it was June and suddenly it’s August! I feel cheated! 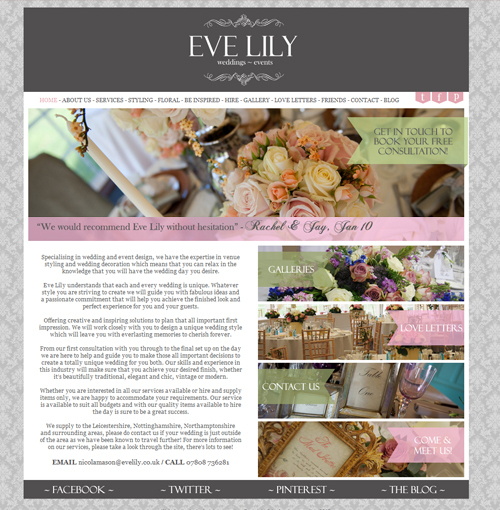 I created a logo and blog design for the lovely Celia at Bride Electric, and she launched the new site yesterday! Click here to find out more about Celia’s innovative new business and to check out the new blog design (I am particularly proud of the Matrix style background!) 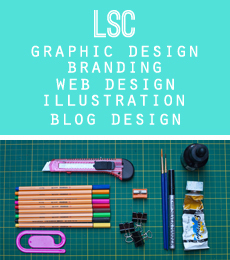 You can find out more about my blog design service here. 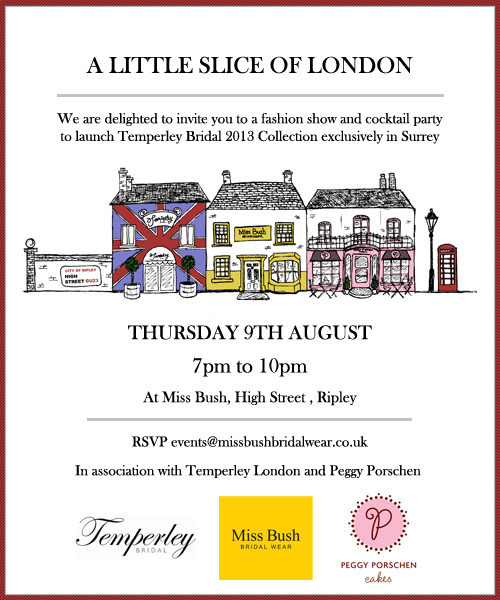 I was so excited when Emma from Miss Bush Bridal asked me to create an illustrated invitation for the launch of the new Temperley Bridal collection in Surrey this month. The event is also in association with leading boutique cake maker Peggy Poschen, so Emma came up with the idea to bring a slice of London to Surrey, represented by the iconic shop fronts of the three brands. 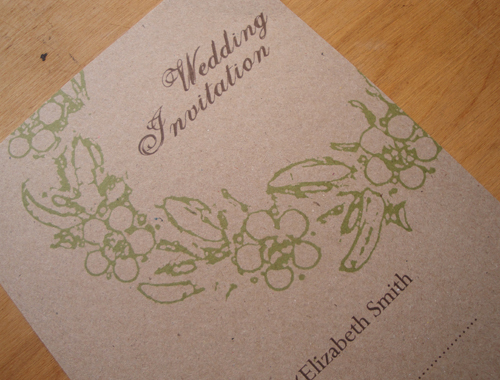 There has been a great response to the design, and I’m really looking forward to attending the event next week! 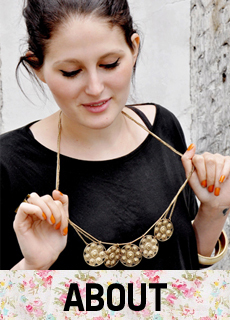 I became a sponsor of Pocketful of Dreams, a contemporary & stylish UK Lifestyle blog. They introduced me with a lovely interview, you can read my answers here! I launched two websites! 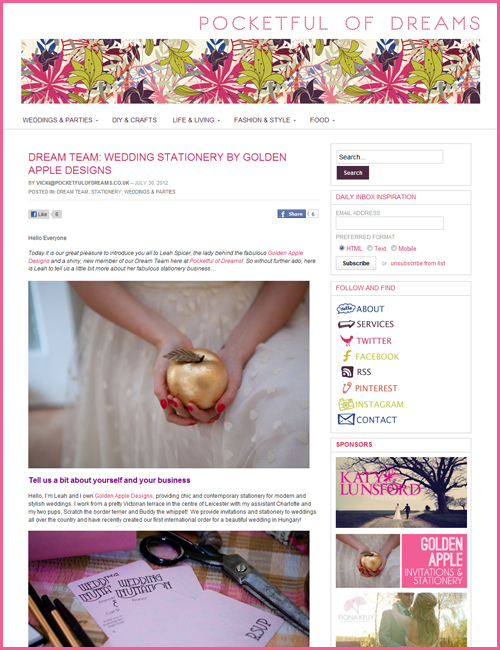 Tickled Pink came first (a fun and cute design to represent their lovely stationery) and Eve Lily followed shortly after, with an elegant and stylish design which fits perfectly with their stunning wedding and event styling work. Find out more about my web design service here. 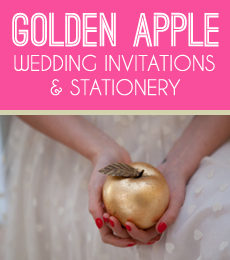 The Golden Apple ‘About’ page has been updated with some fab new pics, information about the name and some more info about my lovely assistant, Charlotte. Thank you to the lovely Matt Glover Photography for the fabulous new pics! – We adopted a rescue dog! His name is Buddy and he’s a whippet. He’s settling in well and Scratch absolutely loves him! – Paintballing, which was SO much fun. – Eating my lunch in a secret garden surrounded by lavender and bees, with the sound of croquet in the background. – Walking all the way in to town to buy a nectarine from the market because none of the ones at my local supermarket were ripe yet. They were sweet and juicy and so worth the journey. I have lots more to tell you and share with you, but this post is getting a little long now! 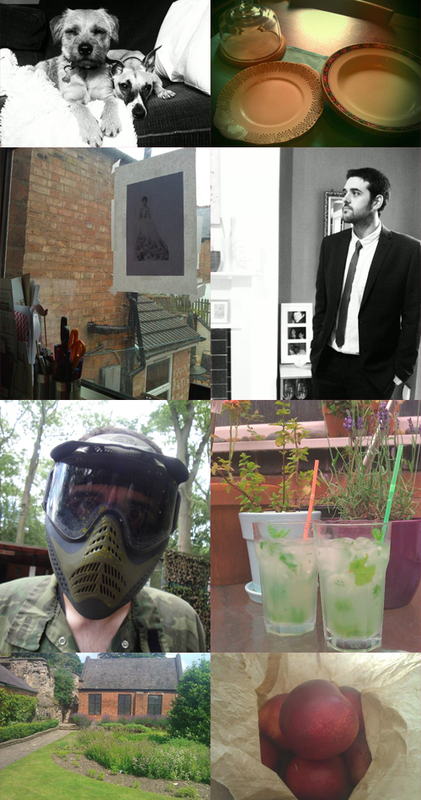 It’s been great to catch up… what have you been up to? Nectarines. Also I love your invite for Miss Bush. Its so cute. Don’t ever leave me, no matter how busy you get. Ummm hello Joe, he is yummier than those nectarines. Wow you’ve been SOOOO busy! All brill stuff but I especially love the invite for the Miss Bush event and the eco friendly range. Great work. The Adventures of Pixel Girl! A Golden Apple at the Paralympics! END OF SUMMER EARLY BIRD SALE!